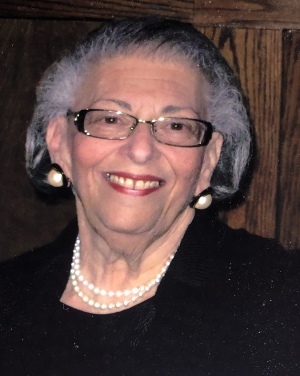 Marilyn F. Levine, age 73, passed away Saturday April 6, 2019 at Lakes of Sylvania. She was born in Columbus, Ohio on July 1, 1945 to Edwin B.and Mildred J. (Parish) Solomon. Marilyn F. Levine(Solomon) was a born leader. Starting young, she held leadership positions in B'nai Brith Girls of Columbus, Ohio. She found her lifelong partner David at The Ohio State University during a fraternity event. Marilyn and David were married a few years later in Columbus, Ohio. David and Marilyn brought their small family to Toledo in 1971. From that time, Marilyn immersed herself in raising her family while simultaneously giving back to the community. She won many awards during her service to the Jewish Community of Toledo, including Hadasaah, O.R.T. and The Jewish Welfare Federation of Toledo. She helped grow Easter Seals of Northwest Ohio from a few employees to an organization serving thousands of people when she left as Executive Director in 1995. One of her many achievements during her tenure at Easter Seals was the amount of money she raised during her production of the Telethon. Following with short stints at St. Vincent's Foundation and Partners in Education (Who can forget the Dragon Boat Races on the Maumee River! ), she ended her storied career as the Executive Director of the BBB of Toledo's Foundation. While there, she developed an ethics program there that has been taught all across the country by other BBB's to their local communities. Her work with the ethics program earned her the nickname, the Queen of Ethics. She also organized the annual, well-known, and highly attended Torch Awards to celebrate the vibrant business community she helped create. Surviving is her husband of 53 years, David B. Levine and their children, Matthew (Jenn) Levine, LasVegas, NV., Michael (Stephanie) Levine, LasVegas, NV. and Mindy Rachel Levine-Archer (Anthony), Seattle, WA. ; brother Philip Solomon and Rita Haider, Columbus, OH. and grandchildren, Mia Archer, Ella Archer, Lyle Levine, Naya Levine and Brynn Levine. Services will be held at 12 Noon Tuesday April 9, 2019 at the Temple Shomer Emunim 6453 W. Sylvania Ave. Sylvania, OH. 43560. Interment will follow at Historic Woodlawn Cemetery. Memorial Donations are suggested to: Jewish Family Services of Greater Toledo. Arrangements by the Robert H. WICK/Wisniewski Funeral Home (419)535-5840.